The next Senate meeting is Monday, Jan. 7, 3p.m, in the Moot Courtroom (6th floor) of the College of Law. Meetings are open to the public. The agenda will be posted approximately one week before here. I am very pleased to announce that Phyllis Vetter has accepted my offer to serve as General Counsel and Vice President for the University of Utah. After consulting with colleagues in the Office of General Counsel and those in leadership roles across campus, it is clear Phyllis has earned the trust and respect of her colleagues. She has served for the past 20 years in the Office of General Counsel and, for the past year, as Interim General Counsel. 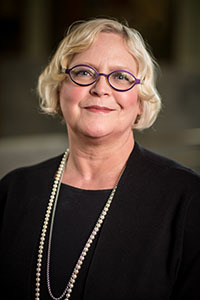 Phyllis’ knowledge of the university, her depth and breadth of legal expertise, and her strong reputation for achieving positive outcomes in the best interest of individuals and the university make her the ideal person for this important leadership role. In addition to providing legal guidance to the University on a wide range of matters, both in health sciences and on main campus, Phyllis is a valued and insightful advisor on numerous university issues. Prior to joining the U, she was a shareholder with the law firm of Van Cott, Bagley, Cornwall & McCarthy and earned her J.D. degree from the S.J. Quinney College of Law, where she was awarded membership in the Order of the Coif and was Articles Editor for the Utah Law Review. Phyllis served as a clerk for the Honorable Michael D. Zimmerman of the Utah Supreme Court and is a member of the Utah State Bar. She is a past president of the Legal Aid Society of Salt Lake Board of Trustees and of the University of Utah Honors College National Advisory Board. Please join me in congratulating Phyllis. 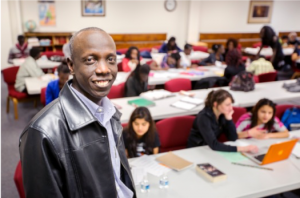 The Refugees Exploring the Foundations of Undergraduate Education In Science (REFUGES) program based in the Center for Science and Math Education was awarded $637,795 over five years from the U.S. Department of Education to provide academic support, college and career readiness, healthy relationship education and STEAM to underrepresented minority students. They will also provide families with ESL, computer and citizenship classes. The grant is a collaboration between Granite and Salt Lake School Districts, Planned Parenthood Association of Utah, Utah State Board of Education and Refugee Community Organizations. 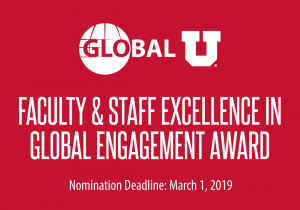 The Office for Global Engagement offers grants of up to $10,000 for departmental or interdisciplinary teams composed of a minimum of three faculty members to improve global learning on campus as part of the Global Learning Across the Disciplines (GLAD) initiative at the University of Utah. Global learning refers to curriculum revision to include global learning outcomes and assessment. Information about the grants can be found here. Claudia Geist, Sociology, and team in the Sociology Department: Theresa Martinez, Marcel Paret, Lazarus Adua, and Megan Reynolds. Project: Making the Global Explicit – Systematically Incorporating Global Learning in the Sociology Core Curriculum. Dean McGovern, Bennion Center, and team in the Bennion Center: Andi Witczak and BobbiJo Kanter. Project: Expanding Assessments to Enhance Community Engagement and Global Learning Across the Disciplines at the University of Utah. Project proposals and information for all GLAD grant recipients can be viewed here. Deadline for the Spring 2019 GLAD grant pre-proposals: Jan. 11, 2019. To apply, click here. 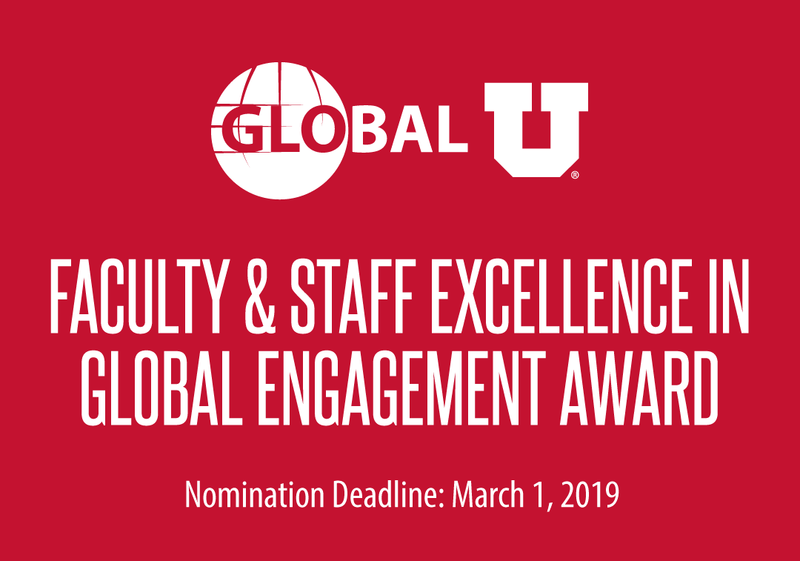 Deadline for the Faculty & Staff Excellence in Global Engagement Award: March 1, 2019. For more information and to nominate a colleague click here. NOTE: there are two excellence awards available annually: one for a faculty member and one for a staff member. At most public, four-year universities, transfer students comprise a population that is often overlooked. 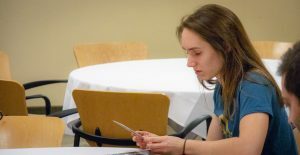 Originally established in 2013 as the Tau Sigma Honors Society, the Crimson Transfer Honors Society (CTHS) is an honors society established for transfer students at the University of Utah. The purpose of CTHS is to recognize academic success of all transfer students at the U; to encourage and support transfer students as they transition into their majors and graduate school; to get transfer students involved on campus and help find ways they can serve their community; and to encourage members of CTHS in aiding other transfer students as they acculturate to their new campus. Earn at least a 3.5 GPA while completing at least 12 credit hours the first semester or 12 credit hours over two consecutive semesters. Attend at least two transfer workshops during their first semester at the U, and pay a one-time $50 membership fee. Tuesday, Feb. 26, 2019 | 6 p.m.
Mark your calendar! Founders Day is almost here. To celebrate the founding of the University of Utah in 1850, the Alumni Association each year recognizes alumni and honorary alumni who have excelled professionally, served the local and national communities, and supported the university in its mission. You can read more about the honorees here. This year’s event will be held on Tuesday, Feb. 26 at 6 p.m. at the Little America Hotel in Salt Lake City. Tickets are $150 per person; $1,500 for a table of 10. You can purchase tickets here. To purchase a patron table ($2,500), please contact Mary Thiriot at 801-581-3716 or mary.thiriot@alumni.utah.edu. In addition, accounts of university affiliates who are “current,” meet all the above selection criteria, and have no end date will be selected for archiving. If/when an archived user returns to the U and needs his/her account re-activated, an automatic process running twice per day will move the account out of archived status. The U’s Strategic Information Technology Committee approved this project and process. Currently, there are a total of ~400,000 inactive personal accounts, ~172,000 of which have never been used and ~270,000 of which meet all of the above criteria. 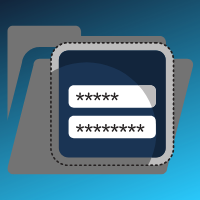 A university-wide awareness campaign has begun and individuals with inactive accounts will be contacted directly prior to the archive date and given instructions to keep their accounts active if desired. If you have any questions, please contact the UIT Help Desk at helpdesk@utah.edu or 801-581-4000. UIT Help article: Archived uNID-based accounts. It’s not too late to get those gifts and stocking stuffers you need to put under the tree this holiday season! 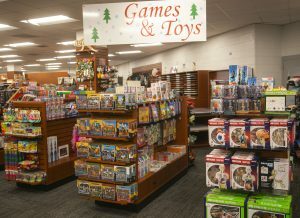 Toyland at the University Campus Store has stocked their shelves with fun toys, stuffed animals, games, gadgets and more, making your holiday shopping easier than ever this year. 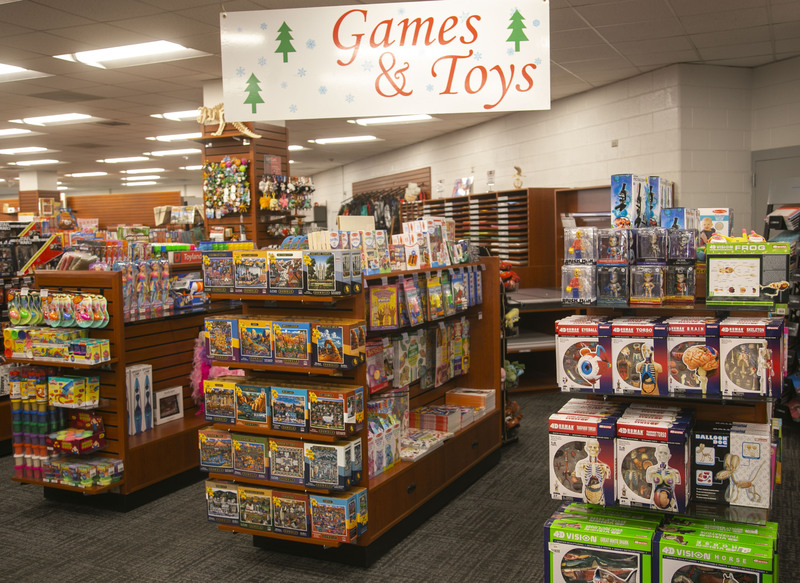 Whether you need to get a perfect gift for your favorite niece, or that brother-in-law you never know what to get, or your grandkids that you always spoil, let the Campus Store help you find something for everyone. Stop by the Campus Store today and get your holiday shopping done, so you can enjoy the most wonderful time of the year with no stressful last-minute lists. Open Monday-Friday, 7 a.m.-6 p.m. or Saturday 10 a.m.-5 p.m.
As the holiday season approaches and use of mail services increases, University Print & Mail Services would like to remind campus that personal correspondence, packages (e.g. 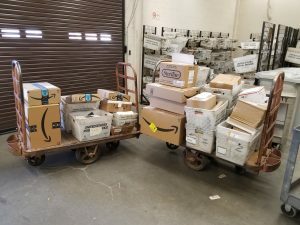 Amazon shipments, etc.) and other deliveries should not be sent to campus addresses but rather, to home addresses. There are several ways to keep your home packages safe, including using smart package lockers, lockboxes or convenience store deliveries. You may also utilize Amazon key service, signature-required deliveries or request delivery alerts. More permanent solutions may include security camera installations or coordinating with neighbors to secure packages. 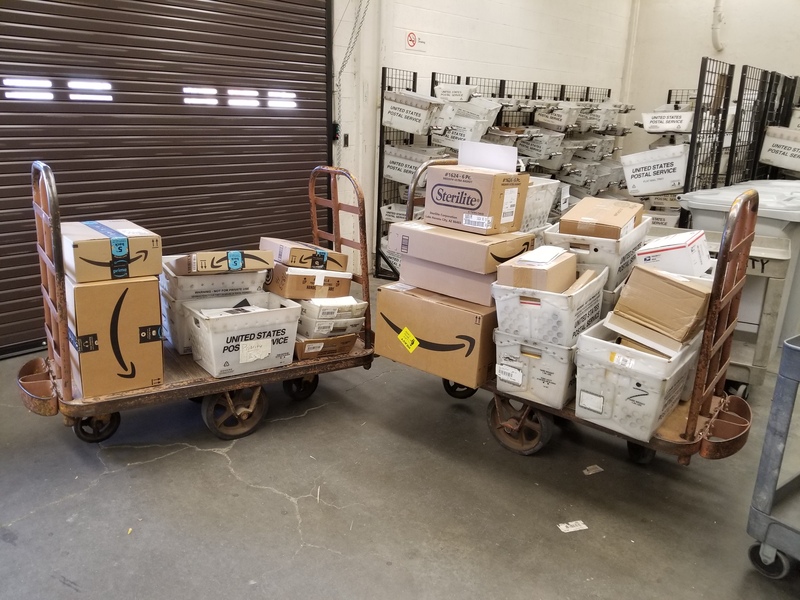 Because of changes with UPS and FedEx rerouting packages through The United States Postal Service (USPS), the volume of packages distributed through campus mail has increased significantly, making prompt deliveries more difficult. Pursuant to University Policy 3-162, “use of the Campus Mail system is available only to recognized university organizations for official University purposes and is not intended for personal use.” Accordingly, faculty and staff should refrain from using the campus mail system for receiving or sending personal mail and understand that if they do so, the university is not liable for the contents of those parcels. Questions or concerns may be directed to Juan Sosa at 801-580-7792 or juan.sosa@utah.edu. Thank you for your cooperation, University Print & Mail Services enjoys serving the campus community and appreciates your ongoing support. In need of holiday gifts or giveaways for those special people on your list this year? Let University Print & Mail Services help you design and customize one-of-a-kind gifts for your department or personal use. From water bottles to umbrellas, blankets to tote bags, if you can think of it, Print & Mail can create it and make it your own by adding text, logos or other specific designs. Most items have a minimum order count of approximately 100 pieces. Also, items typically take five weeks for production and delivery, so order now to ensure your gifts arrive in time for the holidays. For more information or a custom quote, please contact Roger King at 801-581-3947 or roger.king@utah.edu. University Print & Mail Services is an official licensee of the University of Utah and is therefore legally permitted to use and reproduce university-owned trademarks and logos. By supporting official licensees like Print & Mail, you are assured to receive quality products while also supporting student scholarships, athletic programs and other university initiatives. Get a head start on the holiday season by ordering your greeting cards from University Print & Mail Services. Conveniently place your order online and choose from 24 designs, enhanced by your personalized message. Campus orders are typically completed in five business days and can be picked up or delivered to your office for free. For help with these mailing services, reach out to your customer service representative who will guide you through your options. In addition to holiday card designs, University Print & Mail offers several other styles for fall, along with other special occasion cards such as birthday cards, thank you cards, custom-design cards and personalized stationery. Both personal and office orders are welcome. Visit us online to view designs and place your order.